I joined the Board in 2016 as a Proprietor’s Representative and in the same year was elected as Finance Chair. I was elected Chairperson of the Board in March 2018. My other duties include Chair of the school Fundraising Sub-Committee, and Director of St Joseph’s School Alumni Association which was established in August 2017. As Chairperson, I sit on all the Board Committees, lead Board meetings and act as the spokesperson on behalf of the Board who is mandated to govern and control the management of the school. I am a former pupil of St Joseph’s and have one child who is a student here. 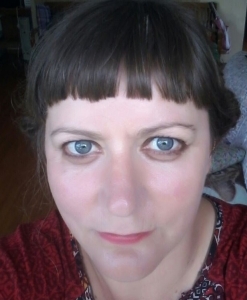 Born and raised in Grey Lynn, my family have been active members of the Parish and wider community for three generations. I am a lawyer by profession having worked overseas advising international governments and organisations. It is great to be home and serving a purpose close to my heart. Our school is an integral part of the Parish and Grey Lynn community -it is home. We are family. Witam. I have been in education for a number of years. My experiences started at St Peter’s College, then Baradene, St Kentigern College and St Therese Catholic School. I have also had 6 years overseas, experiencing other curriculums and other teaching environments. My experience overseas has strengthened my view that the New Zealand Curriculum is one of the best. My role at St Joseph’s is to ensure that every child can have every opportunity to experience as many different educational settings as they can, whether it is in the classroom or outside and that they leave this school with a deeper understanding of their faith journey in life. Talofa. I have been the Board chairperson since 2007 until 2018. I attended St Joseph’s as a young boy and have been part of the community for many years. I am passionate about growing the school and look forward to working together in our journey of building learning and faith. I have served as a proprietor’s representative since 2012 on St Joseph’s Board of Trustees. In this role I am entrusted by the Bishop of the Auckland Catholic Diocese to safeguard and strengthen the special character of our school. I have also had the rewarding and joyful experience of being a parent in this school community, as my son attended St Joseph’s for his full primary school education. Serving with faith and love in the tradition of St Mary MacKillop, I pray that our school community continues to thrive with Christ at its heart. Kiaora, Talofa, Malo e Lelei and Bula!! 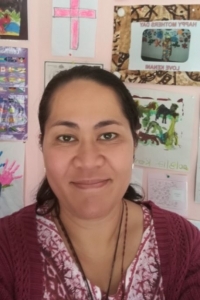 My name is Fotu and I am privileged to be a parent representative on St Joseph’s School’s Board of Trustees. 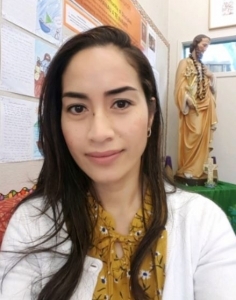 Born on the big island of Savaii in Samoa (to a Samoan father and Fijian/Samoan/German/British mother), I was raised in Samoa, Fiji and Australia and am married to a handsome Tongan who is an ex-student of the school. We have 5 children who have all been through or are currently attending St Joseph’s and we are very blessed to be a part of this vibrant community. I am a lawyer by profession and while life is often full-on juggling work and home commitments, what keeps me sane is my faith and the love of my family and friends. St Joseph’s school rocks! May God continue to bless its staff, students, parents, friends and benefactors. I am honoured to be a parent representative on St Joseph’s School Board of Trustees. This is little bit of my background and who I am. My dear late parents migrated from Samoa to give us a better life. I was born in Wellington. From Wellington our family moved to Christchurch and finally settled in Auckland, in the inner city suburb of Grey Lynn which will always be home to me. Like all parents, we want the best for our children, as they continue to learn and walk with their faith at St Joseph’s. Our son is in his last year and it has been wonderful to watch his journey when he first entered the gates of St Joseph. I look forward to helping our school and to see the school continue to thrive and grow for many years to come. God’s blessings always on our students, teachers and parents. Kia Ora, and Talofa Lava. My name is Dorothy Huch-McClutchie and I am honoured to walk this journey with you all as a parent representative on St Joseph’s School Board of Trustees. I was born and raised in the beautiful of Samoa and moved to New Zealand in 2004. My husband and I have two sons and one of them is a current student at St Josephs. I am a very busy Administrator but being a Mom always comes first. So I am very excited to be more involved and play a role in the future of our students and the school. Everything is possible in the name of God. We love the school and are blessed to be part of the St Joseph Family. So let’s have an amazing year! Kiaora, Talofa, Malo e Lelei and Bula!! I have had a long association with the St Joseph’s community as a teacher and parent. I am passionate about guiding my students to reach their potential and to enjoy their learning.